Sat, 17 Aug at 1:00 PM - Sun, 18 Aug 2019 at 11:00 PM . 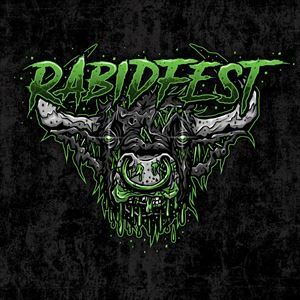 RABIDFEST is back! Oxfordshire's only Heavy Metal and Hard Rock Festival returns in 2019 to put Oxford on the map for UK indoor festivals. We offer a great mix of bands and styles to suit everyone's tastes, featuring the best of local talent and some of the most exciting, banding from around the UK. Our chosen charity is the Icolyn Smith Foundation, who run Oxford's longest running soup kitchen. We will fundraising throughout 2019 and will be donating a portion of our proceeds after the event. Weekend ticket is for Saturday and Sunday entry ONLY, including the Saturday Afterparty. Friday admission is free and ticketless.